This list uses the "G14" and "G15" X-ray entries from the "Edited Events" lists of the NOAA Space Weather Prediction Center. The purpose of the list is to get an overview of the flares that LYRA observes and relate them to class, begin, max, etc. according to GOES. 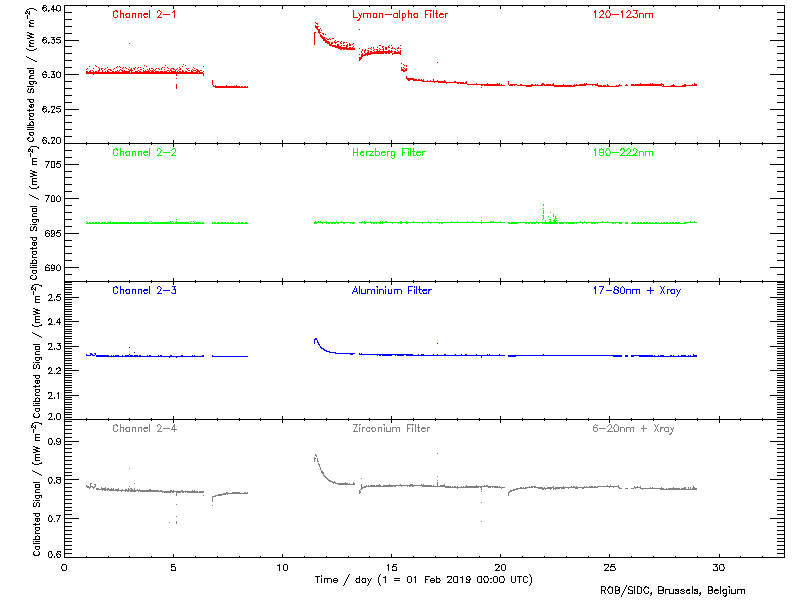 In the daily images (follow links below), the flares are marked at the top of the LYRA Zr-channel curve, with event number and class corresponding to their temporal "begin". 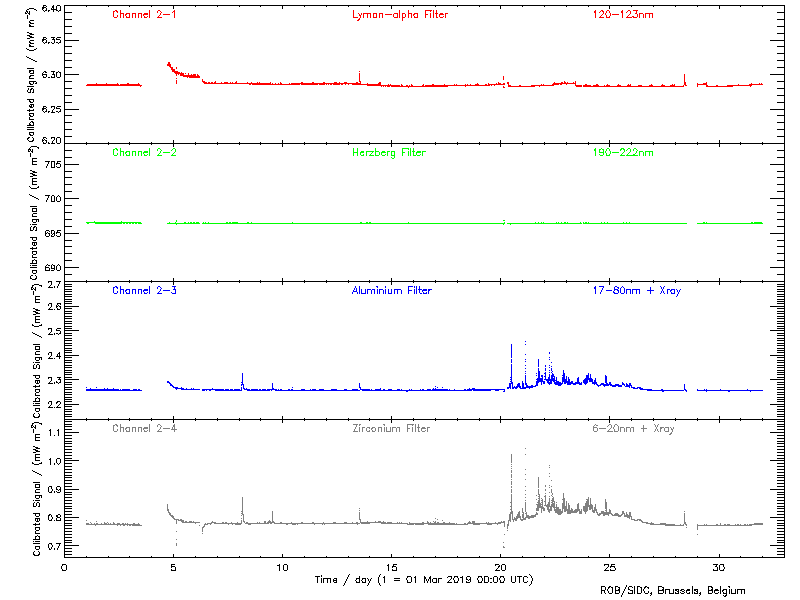 Images of intervals around each flare (1h before, 2h after) are linked to a list below this curve (follow event links), given that LYRA was observing during this interval. In the flare images, event number and class are again marked at the top, corresponding to their "begin", while the GOES maximum is marked with a short vertical line. 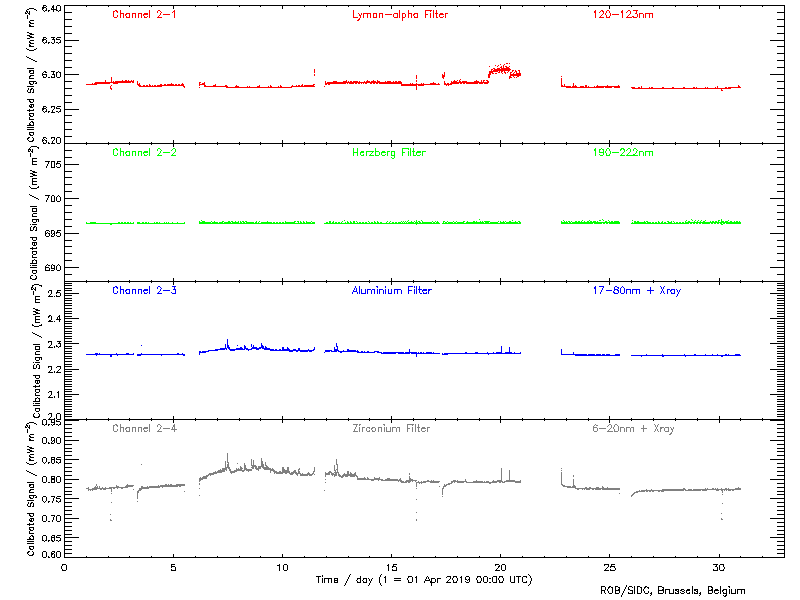 These images contain all four LYRA channels, plus one GOES channel. From November to January, PROBA2 experiences "eclipse season". 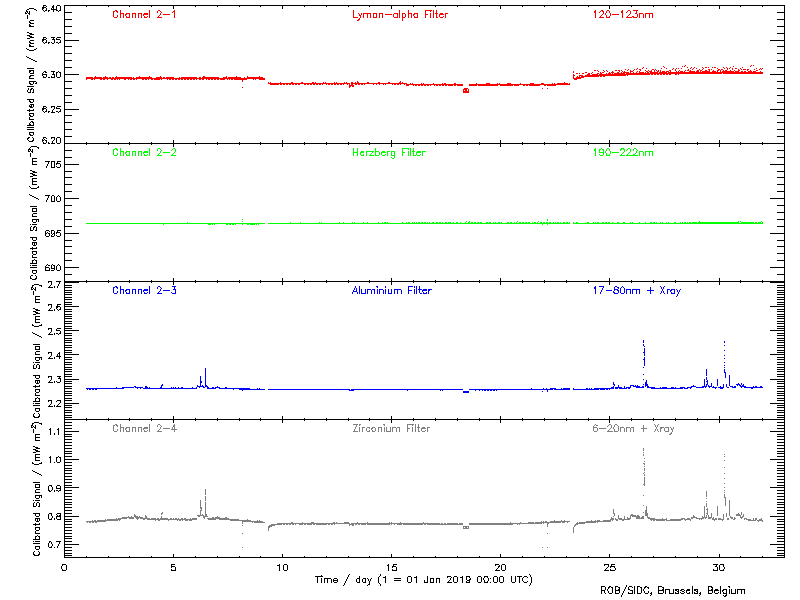 For several minutes during each orbit, the solar disk is occulted by the Earth, and the observed irradiances decrease to dark-current levels - thus LYRA flares may be (partially) hidden. Additional information can be found at the PROBA2 website on the LYRA daily quicklook page or on the LYRA 3day quicklook page.